LINDSEY: I’m well, how are you? STUART: I’m doing very well, thank you. We’re in the middle of rehearsing Dracula. LINDSEY: I couldn’t think of a better cherry to be popped! STUART: This is your fifth show with Zoetic Stage! Wow. STUART: Second world premiere! 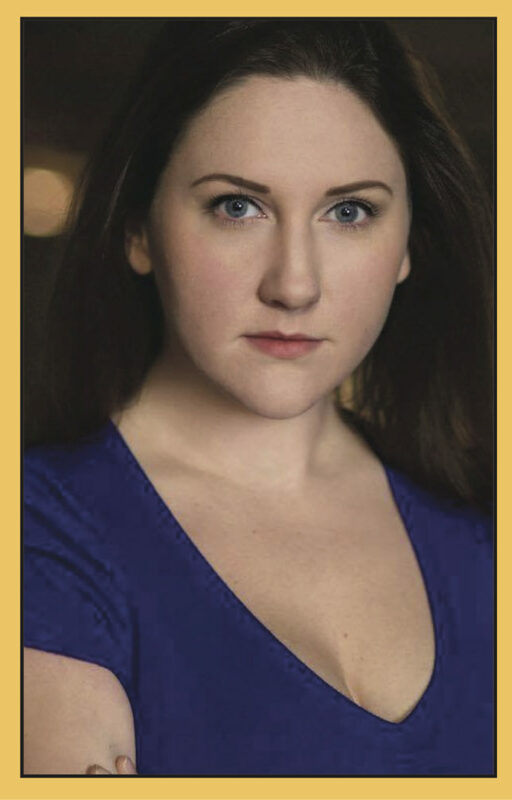 Your first one was Christopher Demos- Brown’s Stripped, for which you won the Carbonell Award for Best Actress in a play! STUART: Ok, so you and I have known each other for a long time. Going on, probably, ten years now. LINDSEY: A little over a decade. You were my teacher in college, so yeah. STUART: Yes, I was your teacher at New World School of the Arts. STUART: I always enjoy finding people early on with a strong work ethic, and a drive, and with a sense of humor. These are the people I want to work with and always want around me – to be part of my artistic family. And you are a part of that. LINDSEY: That means a lot to me. STUART: So, in Dracula, you’re playing Mina Murray. STUART: This is a new version of the tale. So, what’s it like? What are the challenges? LINDSEY: First of all, when I read it, I was so moved that someone would write a version of this play with me in mind as the character of Mina, because there’s such an arc that this character has, and for someone to have written it and believed that I can do that is a very humbling. You know, I’m honored. STUART: Michael (McKeever) writes with actors in mind. I know that he wanted to work with you. STUART: This is the first time you guys are working together, right? LINDSEY: Yes, I did the Finding Mona Lisa reading at Lynn University. LINDSEY: That’s pretty much the only time that I’ve actually worked with him as a playwright. rehearsal for Daniel’s Husband which opens Off-Broadway this fall. But back to Mina . . .
LINDSEY: Yes, so the character of Mina is extraordinary in a lot of different ways. She’s living in a time when men are not taking women’s rights and their strength and independence seriously. And so she [Mina] struggles, because she is such a strong person. As a strong woman myself, I feel that struggle in her. I feel that growing up in the South, there’s a difference in the way that women are treated. I’m bringing that feeling to the work. LINDSEY: But the journey that she goes on . . . From quelling that part of herself, she slowly realizes that she doesn’t need anyone to be happy – whether it be a man, whether it be whatever it is – it’s just her . And that’s all she needs in life. STUART: It’s really exciting for me to bring this play to Zoetic. Michael and I spoke about it for a number of years. 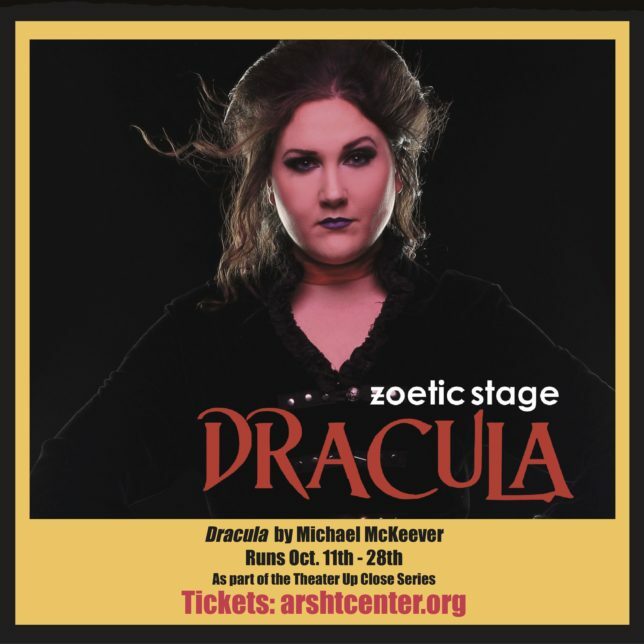 He was really passionate about doing a version of Dracula and I think, for him, this version of Dracula sort of fell into place with the #MeToo movement. I actually think that inspired a lot of people. I understand there are a lot of new Draculas out and about in regional theatres right now, and I think that’s really exciting. I didn’t grow up watching a lot of Dracula movies, did you? LINDSEY: I remember watching (at far too young of an age) Interview with a Vampire. STUART: With Tom Cruise, right? LINDSEY: Yum! Yeah. I also grew up in a different time where the Twilight books were coming out and my sister was big into Buffy, the Vampire Slayer . And then that series came out, and I was watching that. STUART: Did you watch True Blood? LINDSEY: True Blood, absolutely. That’s also Southern, so that was appealing to me. STUART: Last question: So why do you think people should come see our Dracula? incredible. The group of people that you put together! The designers! We just had our first costume fittings yesterday, and they’re stunning. All of the designers, all of the actors that you have assembled, it’s a dream team and these people are going to blow your mind. STUART: Thanks, Lindsey, for breaking our cherry! LINDSEY: (laughing) Uh, I wish I could do it again. STUART: Now back to rehearsal.